Blackhawk 33UA00BK Urban Assault Tactical Vest FREE SHIPPING! 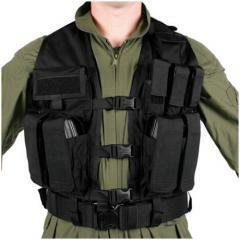 have many tactical vests to choose from. ©2002-2019 CopsPlus.com: Blackhawk 33UA00BK Urban Assault Tactical Vest FREE SHIPPING!